We came to see the corridas, ‘bullfights’, of the Feria de Abril – my parents, Sarah and I – but after an awful showing at the Maestranza bullring on Thursday with the toros of El Pilar facing the toreros Miguel Abellan, Manuel Escribano and David Mora, we sloped off to the pool of the Sherry Park Hotel in Jerez and the restaurants on the beach in Sanlúcar de Barrameda. Sarah and I returned for the bulls of Victorino Martín with Antonio Ferrera, El Cid (who once so inspired me with these same bulls that I wrote this for Prospect magazine) and Ivan Fandiño on Sunday, but, as interesting as it usually is to watch a man solve the thuggish cryptic crossword of those encaste Ibarra-Santa Coloma (=Saltillo) monsters, I left after three bulls, missing, by all accounts (at least in the Spanish newspaper ABC) the best bull of the feria. No hay toros en Sevilla este año. 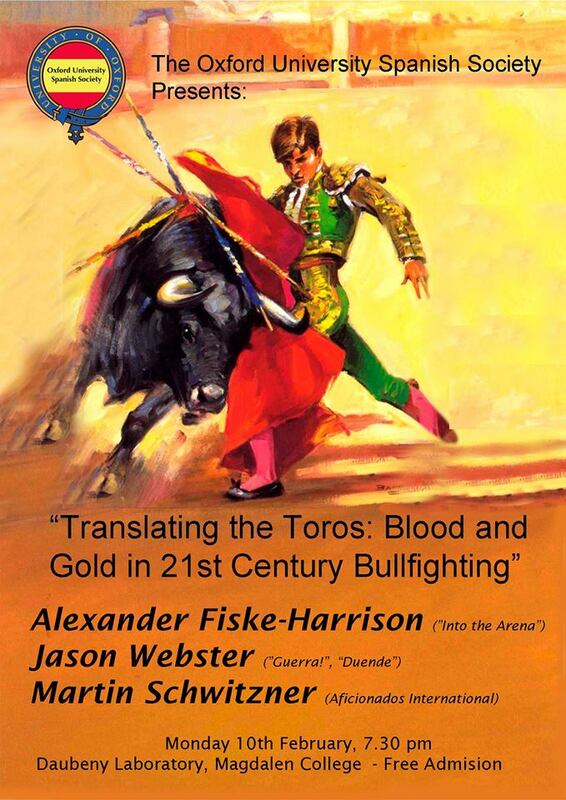 In fact, the English aficionado Burghie Westmorland, who had sat through the whole week, said bluntly that the entire feria had been a fiasco in taurine terms, quoting a dictum he attributed to Hemingway that there are no good bullfights in Seville. Of course, there were no figuras de arte in Seville this year, as the third generation empresario of the plaza de toros, Eduardo Canorea, had managed to publicly fall out with the G-5 group of matadors, El Juli, José Mari Manzanares, Alejandro Talavante, Miguel Perera and Morante de la Puebla (who is from Seville), so badly that they entered voluntary exile from the most important bullring in Spain (excepting, some say, Las Ventas in Madrid.) 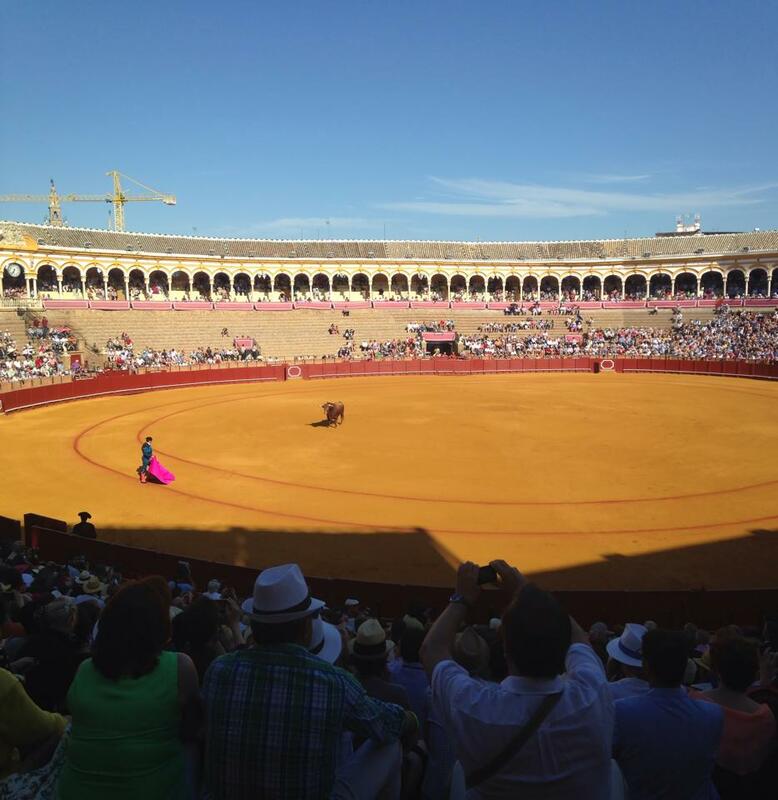 So, in order that Sarah wasn’t left with the abiding memory of ugly blood, unwilling bulls and botched kills, we extended our stay to incorporate the first corrida of the Feria del Caballo in Jerez to see the mano-a-mano of Morante and Manzanares this Friday. Aside from José Tomás – whom I will be flying to see in Granada on June 19th – there simply are no other bullfighters capable of such art when the stars align. It is watching these corridas with a first-timer that I once again remember how strongly I used to feel about the ethics of bullfighting. Everything for the English-speaking novice is seen through the lens of the injury and death of an animal, and yet for me, those thoughts and sentiments are so far distant now as to seem absurd. Tens of millions of cattle are needlessly slaughtered in the UK, US, Canada, Australian and New Zealand: killing something because you like the flavour would be no more justification for a bull than it would be for a human, if such a justification were needed. The fact is that it isn’t: we kill animals, let them die, and let them kill one another with moral boundaries wildly different to anything that applies in the sphere of human congress. I recently gave a speech at my old university, Oxford, and rather than trot out a version of my usual talk on the so-called moral issues surrounding the corrida (such as I did here, for the Edinburgh International Book Festival in 2011) I gave something much closer to how I speak in Spanish on the subject (such as I did here, in English translation, at the University of Seville in 2012.) It went down surprisingly well. Perhaps people really don’t want to be sermonised at about rights and wrongs, but are more interested in just understanding something so fundamentally alien. Perhaps when I present a paper at the Fundación de Estudios Taurinos de la Real Maestranza de Caballería de Sevilla in early November, this is theme I should follow. Interestingly, as a keen rider, it turned out that Sarah’s main initial interest was – as Hemingway’s was – the welfare of the horses. 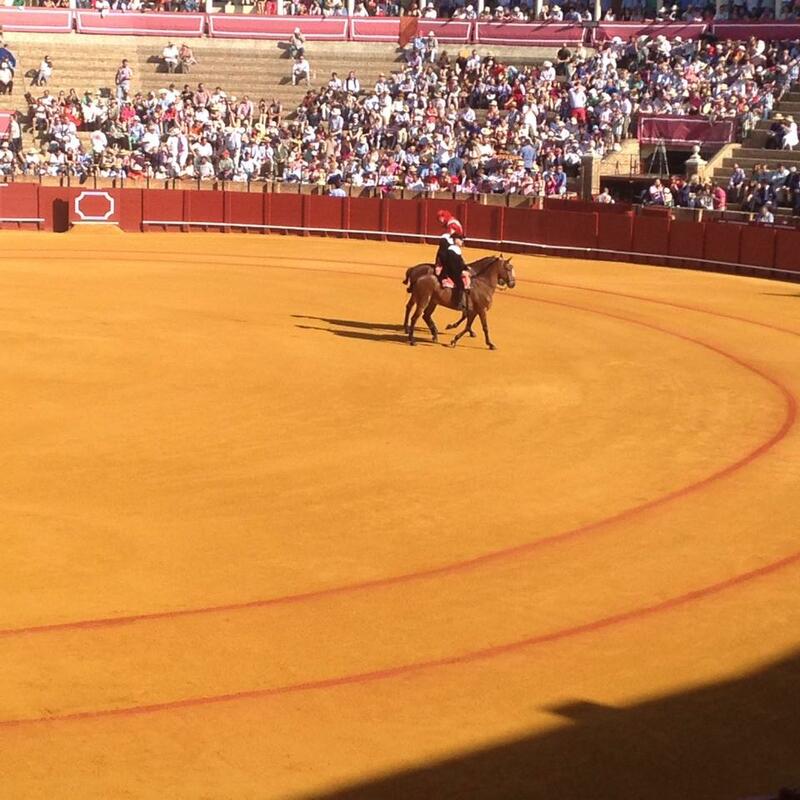 And part of the reason she is willing to come and see another corrida is that, after watching a picador’s horse overturned, she saw that its armour was impenetrable, that its confidence in its training was so strong that it remained immobile in the face of the bull’s assault until it was caped away, and its lack of panic or even upset when it was righted onto its feet and walked out of the ring without so much as a limp. Those are the things you cannot fake to a trained set of eyes. My own contribution to the glut, a submission to the Prix d’Hemingway short-story competition in France, failed even to make the shortlist. I would have taken that news badly – it was a good story – but after I had sent it in, I went to stay at the bull-running legend Joe Distler’s Pamplona apartment and took advantage of his taurine library and so read, for the first time, Vicente Blasco Ibáñez’s famous 1908 novel, Blood And Sand. 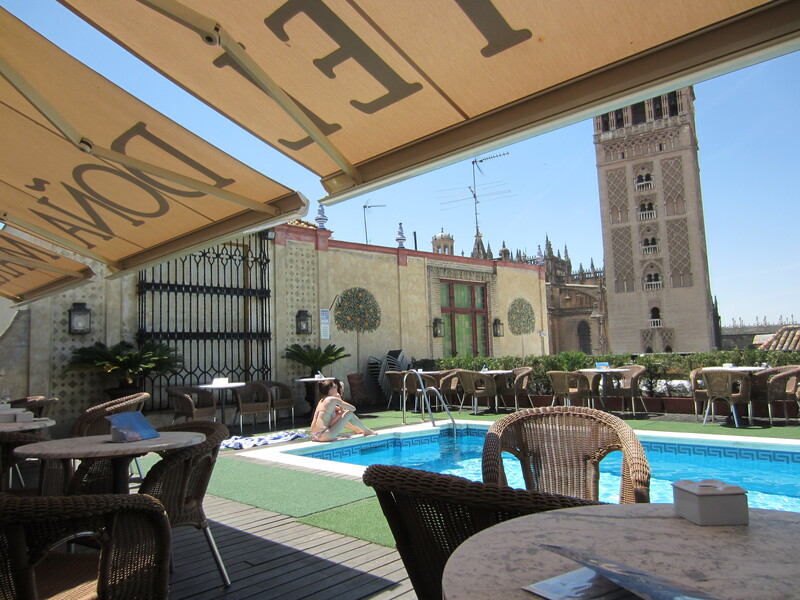 There is no denying that my story, set in 1929 Seville, with its matador protagonist, Roberto, his destructive – of self and others – lover, Doña Estafanía, and her carelessly wrecking father, the Barón de Mazama, bear a superficial but undeniable resemblance to that novel’s 1908 Seville, its torero Juan, his lover Doña Sol, and her father the Marqués de Guevara. What are the odds? I was in Pamplona to finish researching the forthcoming eBook Fiesta: How To Survive The Bulls Of Pamplona which I am editing, with chapters from John Hemingway – grandson of Ernest – Joe Distler and photos by Jim Hollander, along with contributions from Beatrice Welles – daughter of Orson – Julen Madina, Miguel Ángel Eguiluz, Jokin Zuasti, Josechu Lopez and Nicolás Haro. All I am waiting on now is a prefatory letter – and backing – from the city hall of Pamplona and regional government of Navarre to whom the Minister-Councillor for Culture at the Spanish Embassy in London has passed it. This entry was posted in Bull-running, Bullfighting, Pamplona, Seville, Spain and tagged 2014, Alexander, Alexander Fiske-Harrison, ayuntiamento, bear grylls, beatrice welles, British bullfighter, bull, bull-fight, bull-fighter, bull-run, bull-runner, bull-running, bullfight, bullfighter, bullfighting, bullrun, bullrunner, bullrunning, bulls, corrida, corrida de toros, cristina ybarra, davila miura, discovery channel, eduardo davila muira, Eduardo Miura, el cid, el pilar, encierro, english bullfighter, enrique moreno de la cova, ernest hemingway, escape from hell, eton, eton college, feria, feria de abril, feria de caballo, feria del toro, Fiesta, fisk-harrison, Fiske-Harrison, fitz-harrison, hermano mayor, into the arena, jerez, jerez de la frontera, jim hollander, Joaquín Fernández de Córdoba, joe distler, john hemingway, Jokin Zuasti, jose mari manzanares, Josechu Lopez, Julen Madina, los toros, maestrantes, maestranza, manuel escribano, manzanares, maria o'neill, marques de caltojar, Miguel Ángel Eguiluz, miura, morante, morante de la puebla, nicolas haro, noel chandler, orson welles, oxford, oxford university, pamplona, plaza de toros, rocio, romeria, san fermin, sarah pozner, sevilla, seville, teniente, torero, toro, toros, Tristan Ybarra, victorino martin, xander, xander fiske-harrison, zander by fiskeharrison. Bookmark the permalink.